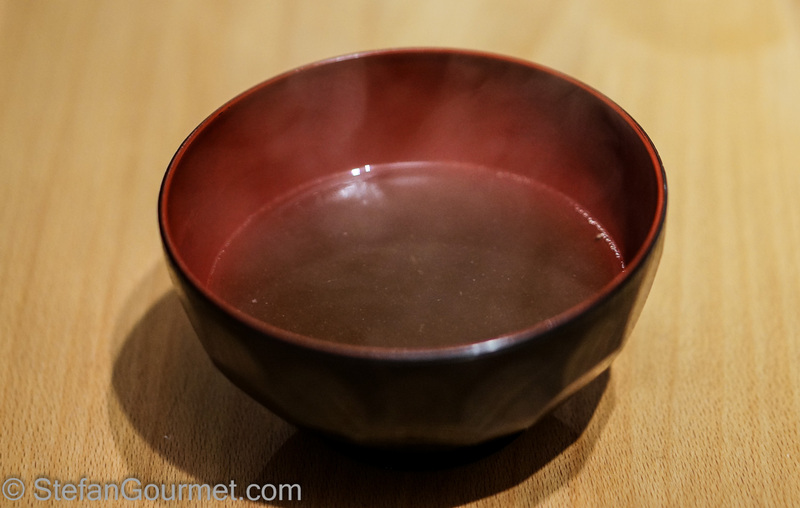 Have you been wondering what I made with the Chinese chicken stock? 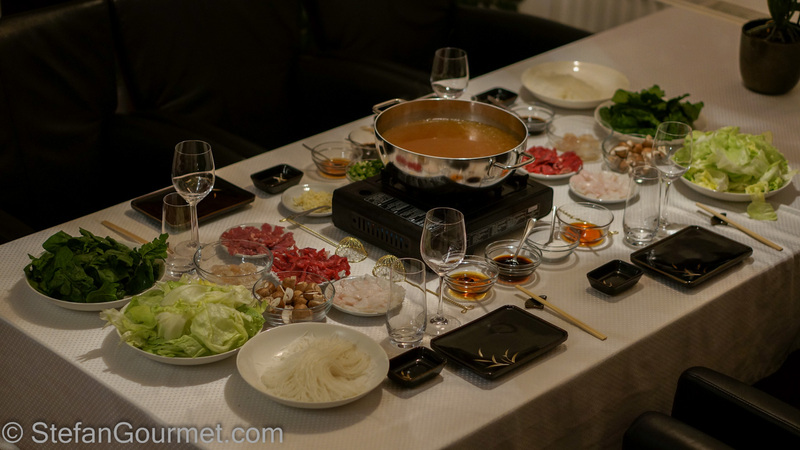 Well, here it is: Chinese hot pot (also known as Mongolian hot pot), a festive dish that is delicious, healthy, and surprisingly easy to prepare for such a feast. As always, it is worth making your own stock. Raw meat, seafood and vegetables are cooked in the hot stock and then dipped into a sauce that you make yourself from various condiments and sauces. As a bonus at the end you can drink the stock, which will have developed amazing depth of flavor. The recipe is based on “Mastering the art of Chinese cooking” by Eileen Yin-Fei Lo. Her recipe includes some ingredients that I couldn’t find, but this is a dish that doesn’t have a fixed recipe and many regional variations. You can easily make your own based on what is available and your preference. Thanks to Marjolein for the inspiration and to Arjen for lending the book. Slice the meat and fish very thinly across the grain. 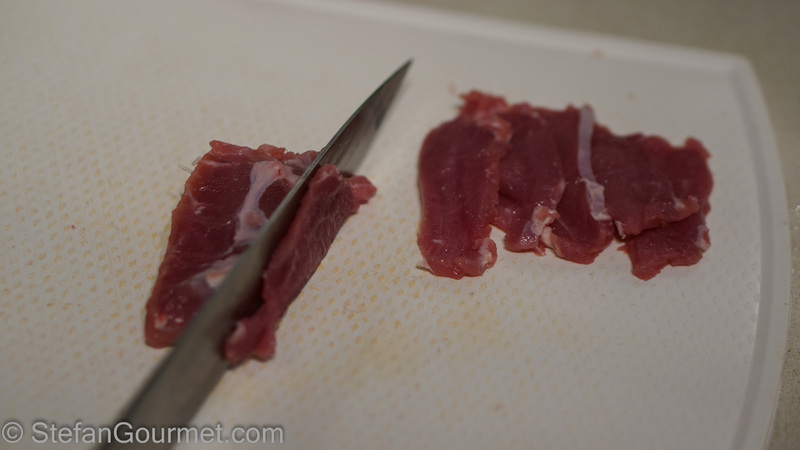 It makes it easier to slice thinly to freeze the meat for half an hour or so. Separate the spinach leaves. Tear the iceberg lettuce into 10 cm (4″) pieces. Cut the button mushrooms in half. 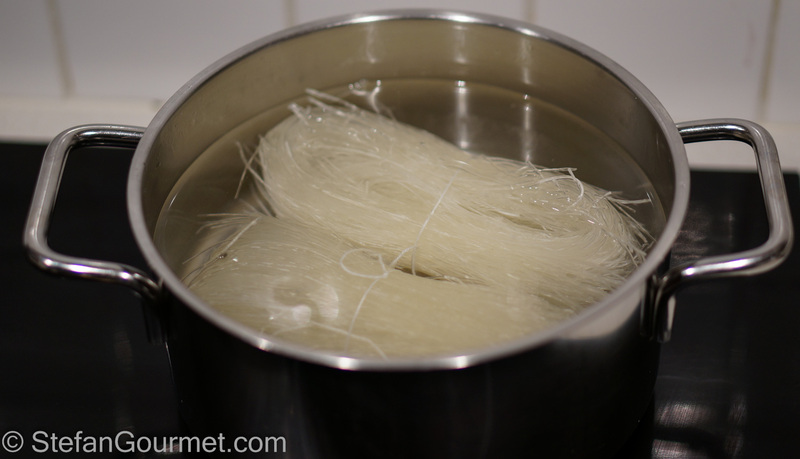 Soak the bean thread noodles in hot water for 20 minutes. Put all the sauces and condiments in bowls and provide spoons. Heat up the stock and put it in a pan that is about 28 cm (11″) wide and at least 8 cm (3″) deep over a heat source to keep it simmering (close to boiling). Arrange all the other ingredients on the table. 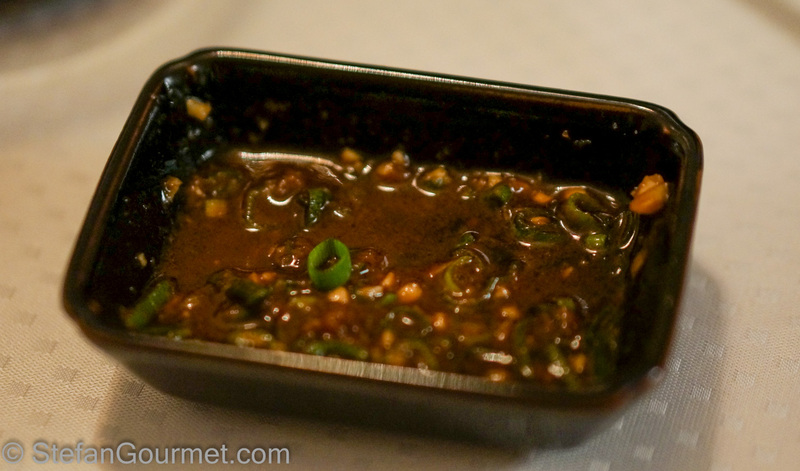 Each diner can prepare his or her dipping sauce with the sauces and condiments provided. 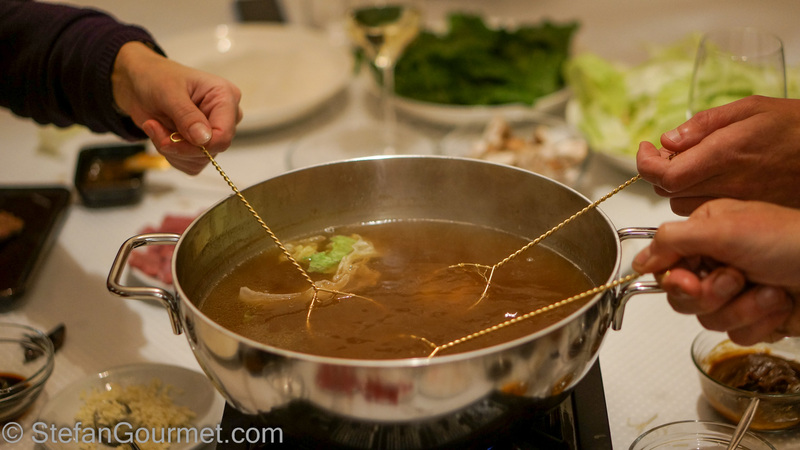 Use chop sticks to put the food in the hot stock and a small strainer to take it out again. Do not overcook the fish and meat. The shrimp and mushrooms take a bit longer. When all the meat, seafood, and vegetables have been prepared and eaten, the stock will have developed a great flavor and will be real treat. We enjoyed this with a dry full-bodied German Riesling. 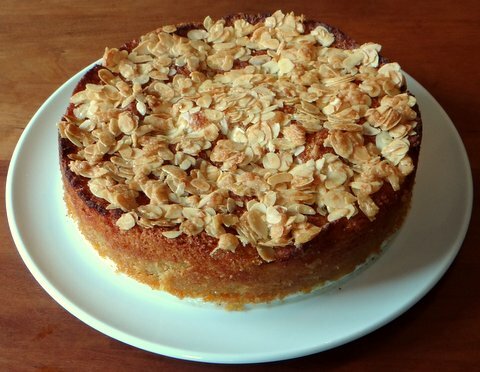 This cake with almonds, plums, and orange is so good that I will make it again soon. La foto mi ricorda certi giochi alle fiere! Pesca miracolosa! Il risultato è senza dubbio buonissimo! Excellent. Great to see you straying into the Oriental too. You did have me wondering about the stock. Now I know. During my mother’s Chinese phase, we often did hot pot. It was one of the few times I actually had fun eating with my parents and sister. She used the traditional hot pot, so she used a piece of asbestos under the hot pot so that it didn’t burn up her antique table! I remember she included tofu (bean curd, as you mentioned) and also scrambled eggs to add to your bowl of broth. So much fun. Yummy! I was about half your current age and I wonder that I managed when I first was part of this ‘ceremony’ methinks in Japan – OMG, we had so much fun, probably at the expense of our hosts!!! Still love a 4-some or an 8-some [two cookers!] getting together and making a huge delicious ‘mess ‘!!!!! I agree with Chef Mimi: one HAS to have firm tofu, and we liked heaps of fast wilting greens also . . .one truly cannot have a more laugher-filled informal meal!! 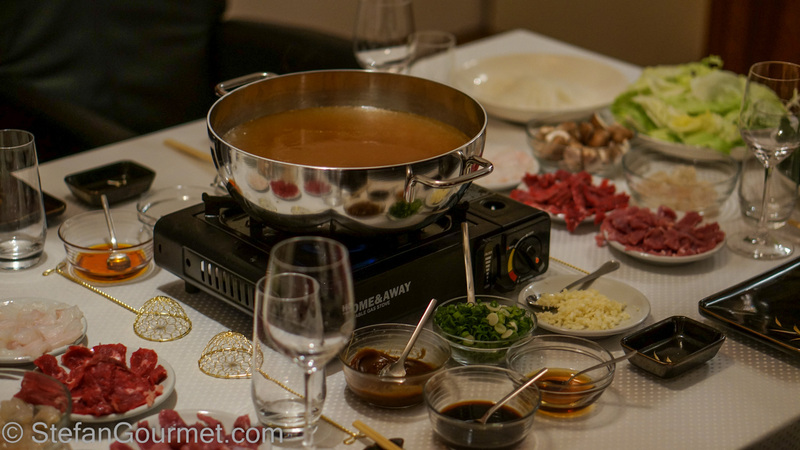 A hotpot is a wonderfully delicious way to share an informal meal. Like Eha, we like lots of fast wilting greens like bok choy and gai lan and tofu too. I think the best part is the soup at the end! What a great informal dinner party idea! I knew that there was a reason behind your Chinese stock preparation but I’d no idea you had such a feast in mind! What a delight for those who sat at your table that evening. Another fantastic dish, Stefan.